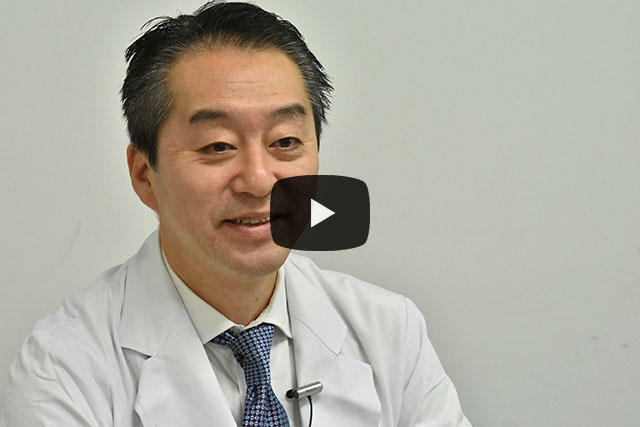 Professor, Center for Supercentenarian Medical Research, Keio University Medical School. Medical Research, Keio University Medical School. Professor Arai and colleagues are addressing medical issues related arising from increases in average life expectancy in worldwide. "People are growing old healthily," says Professor Arai. 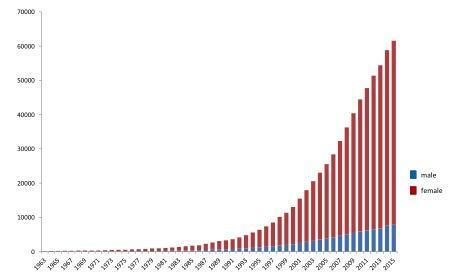 "That is, healthy longevity is becoming increasingly important." For more than 20 years Professor Arai and colleagues have been surveying centenarians to clarify biological mechanisms that affect healthy longevity. Currently, research on centenarians is being carried out all over the world. The unique aspect of the research being conducted at Keio University's KGRI is that the they also survey people 105 years old and even 110 year old supercentenarians. The research has shown that suppressing chronic inflammation associated with aging is the key to achieving healthy longevity. Future plans include further clarification of the mechanisms of aging at the cellular and organ level to support a rich, and healthy longevity society. "We are looking for young doctors who want to conduct research with us," says Professor Arai. Yasumichi Arai, Professor, Center for Supercentenarian Medical Research, Keio University Medical School. Understanding the demographic, phenotypic and genetic features associated with ageing has been the subject of many studies worldwide. Japan offers a unique opportunity for such studies since it has a large population with a very high longevity rate. Recent studies have shown that the number of centenarians in Japan increased from 154 in 1963 to 61,568 in 2015, and has increased 4.2-fold between 1996 and 2006, compared to an increase of 2- and 1.6-fold in France and Denmark, respectively. 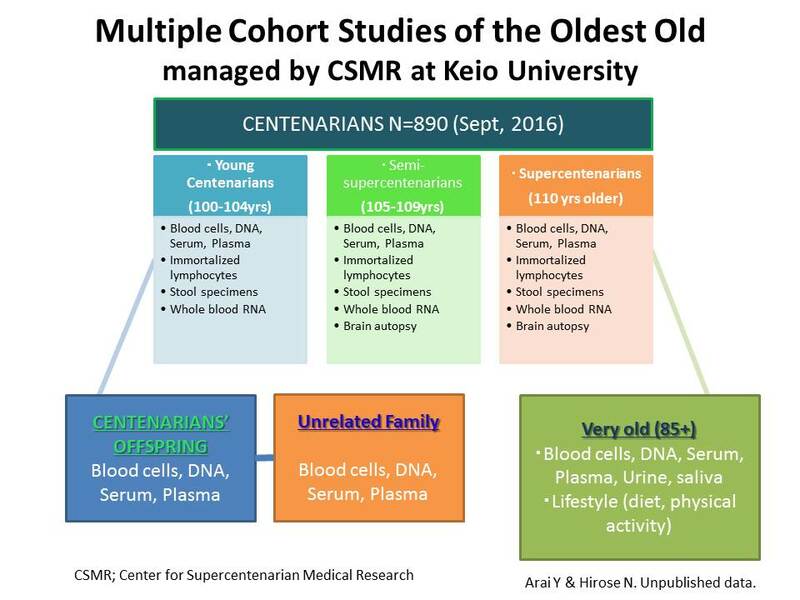 In a recent review, Yasumichi Arai and colleagues at the Keio University School of Medicine give an overview of previous and current findings relating to the health status of centenarians in Japan. Interdisciplinary studies revealed that approximately 20% of centenarians had reasonably high functional capacity and enjoy physical and cognitive independence. Furthermore, those who were independent at the age of 100 were more likely to reach 105 (semi-supercentenarians) and even 110 (supercentenarians). These findings prompted the group to shift their research to focus on semi-supercentenarians as a model of healthy longevity. Despite cardiovascular disease being the leading cause of death in old age, centenarians have a low risk of cardiovascular disease, with low prevalence of atherosclerosis. Prevalence of diabetes is only 6% in centenarians compared to 14.7% in the general population aged in their 70s. The prevalence of hypertension was about 60%, however, this was paradoxically found to be associated with high levels of physical and cognitive function. The authors used data from several longevity studies in order to investigate several factors, including haematopoiesis, inflammation, liver function and cellular senescence, and their association with capability and cognition during ageing. Low-level of inflammation was found to be correlated with survival, capability and cognition. Telomere length, which is a marker of cellular senescence, was more efficiently maintained by centenarians and their off-spring compare to the general population. The authors have now started a whole genome sequencing analysis of supercentenarians, semi-supercentenarians, and young centenarians. The authors conclude that "centenarians and particularly supercentenarians can live active lives, or they have at least done so for the majority of their very long lives." Regarding the DNA sequencing study and they are confident that the whole genome sequencing and analysis of these distinct centenarian cohorts will provide clues for identifying genetic factors that could contribute to healthy longevity. Authors: Yasumichi Arai∗, Takashi Sasaki, Nobuyoshi Hirose. Title: Demographic, phenotypic, and genetic characteristics of centenarians in Okinawa and Honshu, Japan: Part 2 Honshu, Japan. Center for Supercentenarian Medical Research, Keio University School of Medicine, Japan. *Corresponding author at: Center for Supercentenarian Medical Research, Keio University School of Medicine, 35 Shinanomachi, Shinjukuku, Tokyo, 160-8582, Japan. E-mail address: yasumich@keio.jp (Y. Arai). Centenarians in Japan between 1963 and 2015.